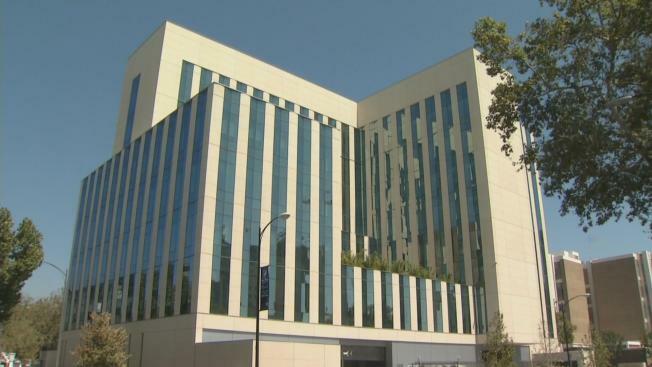 Finishing touches are being put on a new $200 million Santa Clara County courthouse in downtown San Jose. But court clerks who do much of the case processing are putting their own final touches on picket signs. About 330 clerks are likely to go on strike after talks with Superior Court Management over wages and staffing ended Monday without a resolution. Clerks say they haven't had a raise in eight years and no contract for the past two years. That has led to hundreds of workers leaving, with very few replacements, which in turn has created long lines at the courts for all sorts of legal matters, according to Shelly Carey, court specialist. As an example of increased workloads, the clerks point to the closure of the South County facility in Morgan Hill for virtually everything except criminal cases - and one day a month for traffic cases. The county has made things tough logistically not only for the workers but also for the public, including victims seeking assistance for domestic violence, clerks said. "What they've been doing is spending all the money on the building instead of for the public in hiring people and serving people," said Ingrid Stewart, president of the Superior Court Professional Employees Association, the union representing court clerks. If the clerks do go through with a strike? "It's going to be way worse than it is right now," Carey said. Superior Court Management, which has been operating under a $5 million budget deficit, said it wasn't aware the union had taken a strike authorization vote and pointed out that the union has rejected a number of previous offers it considered fair. "We value our employees, but we believe labor negotiations should happen at the table and not through the media," Superior Court Management said. Union leaders said they do not expect to present the latest offer to their membership, which makes a strike almost certain.